Bemis Center’s residency program plays an integral role in advancing creative practices and careers in the arts. 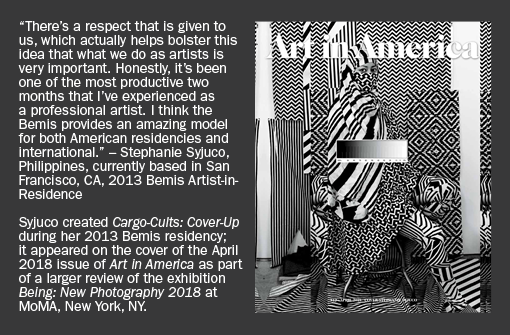 The work of former residents Leah Rosenburg, Stephanie Syjuco, and Risa Puleo—and nearly 900 since our founding in 1981—embodies the impact of their time at Bemis. 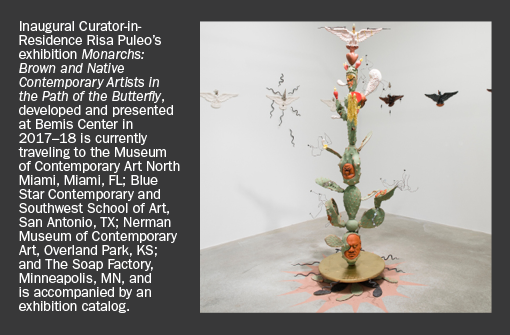 Patrons-in-Residence directly help fund the annual activities of the international residency program, including the notable administrative, technical, and financial resources each artist and curator receives while at Bemis. Members at this level nurture the lives and careers of artists and curators from around the world so they may continue to infuse our community and the world with new art and ideas. Annual dues are equivalent to the stipend each artist receives while in residence. 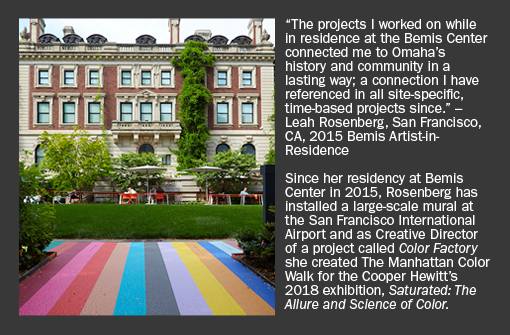 Join online or contact Ellie Novak, Development Director at 402.341.7130 x 16 or ellie@bemiscenter.org.